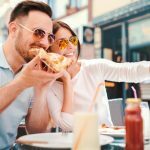 Ranked as one of the “Best Food Cities” according to Time.com in 2015, Cleveland has been becoming a foodie city for quite some time now. Cleveland came on to the food scene when Lola by famous chef, Michael Symon made its debut in 1997 and the city hasn’t looked back since. The city’s many cultural neighborhoods have helped make this foodie city what it is. Amazing restaurants from all over, including Little Italy to the Flats grace this list. This guide will give you great options for your next dinner out with friends, happy hour with coworkers, and family get-togethers. Located in the Warehouse District, Chop is an upscale steakhouse, that’s more than just a steakhouse. While it does have great steaks, it also features a menu full of choices like the Chicken Piccata, Seafood Fettuccini and more. A great choice for those who have a hard time agreeing on a restaurant! Connected to the Westin hotel and AECOM building, Urban Farmer is the perfect spot for tourists and work crowd alike. Featuring a unique interior complete with leather couches, walls with plants on them and rustic warmth that will make you feel like you’re right at home. A great place for a cocktail or meal full of comfort food. It wouldn’t be a guide to the best Cleveland restaurants without making a stop on East 4th street! Mabel’s is known as one of the best (and only) BBQ joints in the city. Customers come for the kielbasa, pig ears and the brisket. Little Italy is one Cleveland’s most famous ethnic neighborhoods. Located on the east side, it features the best Italian delicacies and treasures making it a great place for a weekend adventure! Mia Bella features one of the healthiest menus in the city with locally grown produce, gluten-free options and plant-based dishes. Perfect if you’re craving comfort food, but not craving cheating on your diet. The traditional Italian restaurant complete with an almost never-ending wine list and classic dishes. Great for a family get together or even just date night! On the casual side, Trattoria on the Hill has great food and drinks, but more importantly, they have great sauce! Jars of their homemade sauce is available for purchase so you can make your own Italian creation! Another east side community, Cleveland Heights has been home to many things: music, art, even Dean Martin! It is also home to some of the best restaurants in the city. This restaurant is an Indian and Greek fusion and it is just amazing. Anything from Frankies and samosas, to okra fries there is something for everyone at Greedy Girl. Melt Bar & Grilled is a must-see in the Northeast Ohio area. Locals come here for the monster-sized grilled cheese variations including the “Parmageddon” which is named after a Polish Cleveland suburb, that has Polish classics: pierogi, and sour kraut. A great casual hangout with great pub food and happy hour specials. Locals love the ambiance and the owner of R’s Kitchen, who will come to your table and discuss your dish with you, especially if you have special dietary restrictions. The Flats have gone back and forth in popularity in recent years, but now it’s an all-time high! With more and more places to live and eat all right by the river, it has become one of the hotspots in the city. Beerhead isn’t just your average bar. Yes, it does have hundreds of beers to choose from (and a super helpful wait staff that knows everything about them), but it also has a great brunch menu on the weekends and a great pizza selection. Throughout all the ups and downs The Flats area has been through, Shooters has seen it all. First opening in 1987, the restaurant has celebrated 30 amazing years at its location and it won’t be going anywhere. With amazing shows, great river views and great food what more could you ask for? One of the most fun spots on the East Bank. Coastal Taco Bar + Chill is a beach house that has outdoor corn hole, fire pits and great river views. It also has two ways to dine: the traditional sit-down side or the takeout window for easy access to all the tacos you could possibly need! Vegetarian and Vegan restaurants are becoming more and more accessible even in Cleveland! A little outside of the city, this Solon location is worth the drive. For those who are vegetarian or vegan, this will be a safe haven. Munch has been perfecting their menu for 17 years and it shows. The menu is full of options including, falafels, sandwiches and wraps. The perfect cross between healthful and comforting. A great spot when you need a light meal and a spot to finish up that report. In addition to the great breakfast options (hello, s’mores French toast!) they also have great smoothies that will give you the energy to keep going. 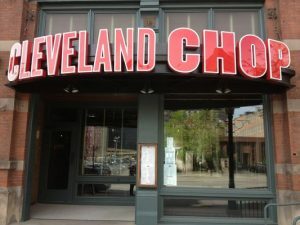 Located in downtown Cleveland, near multiple office buildings makes this a great lunch spot for those who need a quick bite and don’t have time to search all over the city for something that will coincide with their diet. See more Anna In The Raw. Even outside of Little Italy there are amazing Italian restaurants! All over the city, there are great spots for a classic Italian meal. You can find out our full expanded list of the Best Italian Restaurants in Cleveland here. Located in the Aloft hotel on the East Bank of the flats, this spot is great for locals and tourists alike. They have great happy hour specials, but more importantly, they have great pasta! Another menu highlight is the Salerno Family Meatballs that are a customer favorite. A high-end Ohio City gem that features modern furnishings and great dishes. Everything from duck, calamari and classic Italian is available. They have an entire gluten-free menu, too! Right on the popular Detroit Shoreway, Bruno’s is a great intimate hangout with amazing traditional Italian dishes and a great bar. A great spot for getting all your friends together to catch up and relax! Located in the historic Warehouse District, XO is one of the nicest upscale restaurants in Cleveland. Come in with your best attire and they will give you their best steaks. People from all over have come to visit Red, including Khloe Kardashian. This steakhouse puts a modern spin on an old classic that customers are not quick to forget. Another upscale choice with a unique interior thanks to the building it resides in formerly being a bank. A great experience with great food that everyone will love! Here are our Top 3 picks. To see more see the Best Brunch In Cleveland resource guide. Easily the best brunch menu in Cleveland. Bananas Foster, shrimp, pizza and so much more. Even regulars could come back time and time again get something new! The variety of food and drinks makes this a local favorite. The menu even features build-your-own crepes, perfect to pair with your Bloody Mary. Read more about TownHall Cleveland. While FatCats does still only have brunch on the weekend, their hours are better than most; they run from 11 am to 4pm. The menu is complete with salads, tacos and omelets for all your brunch cravings. A great spot for late dinners or just drinks. Located in the hip neighborhood of Lakewood, it is definitely the new hangout spot. So, check out Burgers2Beer. Who doesn’t love enjoying a great burger at Progressive Field: Home of the Cleveland Indians? Dynomite has a second location at the stadium or you can visit their original location in Playhouse Square. If you like spicy things, you need to try their signature Dynomite Burger which has a nice kick. Nano Brew Pub offers just about every burger you could ever want including a PB&J burger! If PB&J on a bun is not your thing, they have Taco Tuesday (Cheddar, Taco Seasoning, Jalapenos, Pico) or you can always just stick with the Classic (American cheese, Lettuce, Tomato and Onion). Fresh made pizza every day with loads of meal options at Captain Tony’s Pizza. Offers delivery and online ordering, making this is a great lunch spot, with their meal deals that include two slices of pizza, a side and soda. They also offer catering for large events! Claimed to be the best New York style pizza in Cleveland – and it’s no lie. Vincenza’s Pizza and Pasta is a crowd favorite with its multiple crusts, toppings and great prices. Perfect for a quick bite and a drink. With a casual location, Crust Tremont is the perfect place to relax after a long week with a great pizza and great friends. See our full Best Pizza in Cleveland resource. Clevelanders loves taco joints. Out of all the many Mexican restaurants in the city, we have (somehow) narrowed it down to the top spots. If you want more check out our page dedicated to the Best Mexican In Cleveland. A Cleveland pastime. Barrio offers build-your-own tacos with multiple different salsas and sauces and great $4 happy hour margaritas. Camino is a great place for a taco and a craft beer. A perfect spot for those who live in the Warehouse district but easily accessible for those who don’t, too! Ohio City Burrito is like Chipotle, only better. This little place has left a big impression on Clevelanders with its burritos and guac. Great place to sit in and enjoy or they also deliver (by bike!). 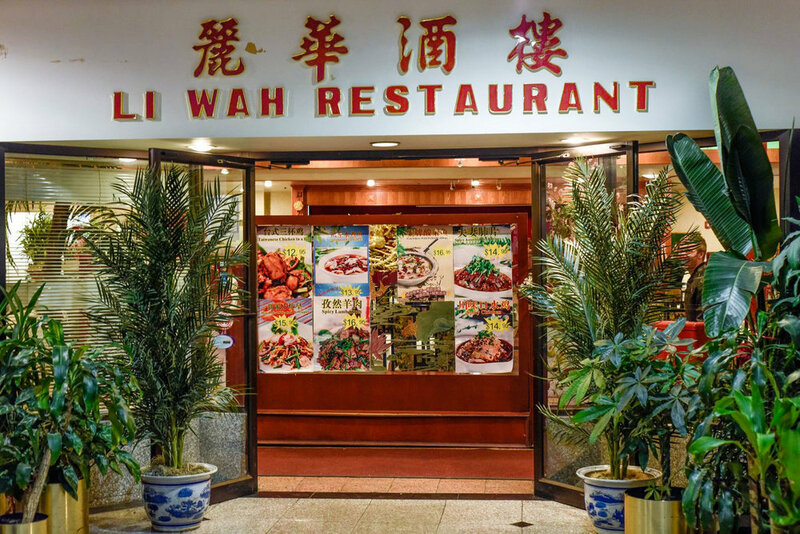 Open 365 days a year, Li Wah is great for takeout or dining in. The large menu has traditional Chinese favorites like General Tso’s chicken and more unusual choices like the Roast Pig Jelly Fish. A great Chinese takeout spot with all the favorites beef, pork and chicken favorites but also offers seafood and lamb options as well. Han is great for dinner on a busy evening, you can even order online through their website. A great sit down restaurant that offers different types of Asian food including sushi. Szechuan Cafe also offers limited American food for those who may not be feeling the traditional Asian food, so a win-win for everyone! A high-end restaurant with the best seafood in the city. Enjoy scallions with a great view of the city from one of the higher levels of this multilevel location right in the middle of the Warehouse district. Read more about Blue Point Grille here. This Spain and Portugal based restaurant offers some of the best shellfish in the city. The seafood offerings are extensive, everything from scallops to Lobster ravioli is available at Mallorca. Perfect for a casual dinner, the Nauti Mermaid has a full Caribbean menu and a fun, nautical theme that is sure to please.